Things I Love: I'm going to ABBW & IMATS! As most of you have seen from the badge on the right of my blog, I'll be heading up to Sydney next month (24th-25th September) for the inaugural Australian Beauty Blogger's Weekend aka ABBW. I've booked my flights and accommodation and am now on the hunt for a killer dress, I even have friends coming up with me so we can have the best of times - can you tell my excitement for this event?? It got even more exciting for me when I found out that IMATS which is also running on the same weekend at the Sydney Convention Centre has generously sponsored for all 85 perfectly primped and polished ladies crazy squealing and giddy bloggers to visit on IMATS on Saturday and I have even scored a session to hear the keynote presentation by maestro MUA Napolean Perdis that afternoon. Yep, I'm that overwhelmed, I may just become a blubbering mess when I get to meet the maestro and one of my beauty blogger idol Elessa from Pursebuzz in the flesh. 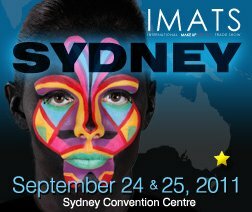 What is even more exciting is the inordinate number of exhibitors in IMATS this year, including MAC for the first time in the Australian exhibition. But the most exciting thing for me is getting my hands on some Hakuhodo brushes (you all know what a brush junkie I am)! The good news is that you don't need to be in the beauty industry or a blogger to attend IMATS. In fact, it's actually open to the pubic so any beauty addict can come and see all that there is on offer over the 2-day exhibit. Tickets are A$40 for either day or A$65 for entry for both days. So tell me readers, will you be joining me at IMATS this year? 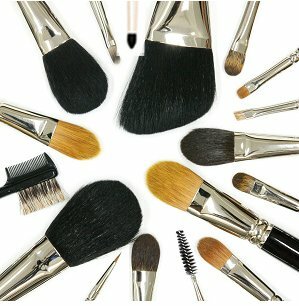 Ooo, I see that you found out about those makeup brushes! !